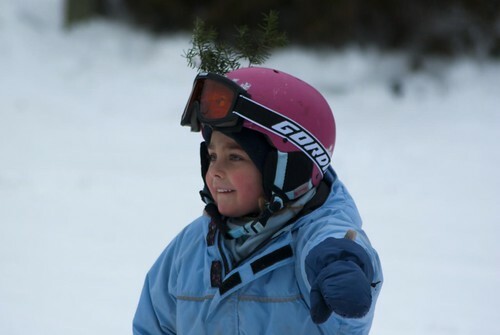 We took Glyn skiing on Sunday. While the girls had their lessons, Glyn got to work out his quads on Vallée Bleue’s intermediate run: Seneca. My buddy, the surfer boy, did really well! Madeleine however is still struggling with gravity and smiling. As posh as it sounds, Chateau Goyer is the café at Cap St-Jacques were you can enjoy some cocoa after an afternoon ski. The place is fantastic in that is basically looks like the Griffindor Common room (Harry Potter ref). We had a great afternoon and Chloé managed to ski 4km. 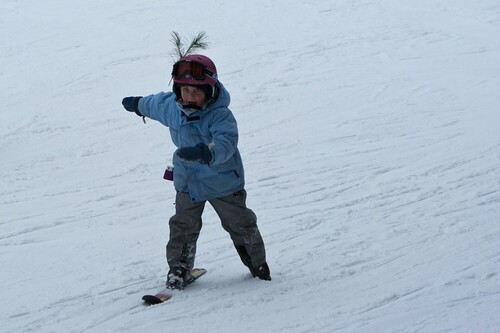 Her skiing is getting much better and her glide has really improved. The best part of it all is that she really enjoys the time we’re spending outside. I just got some new Swag from work today and for once it's one of the coolest tech/sport pieces I have goptten over the past few years. As you can surely tell it's 1.5L bladder bag and a few extra pockets for a first aid kit, wax gear, glasses, a sweater, and some snacks. Guess I'll have to test it out his weekend at on Le Castor at Cap St-Jacques. Chloe and I have been doing a lot of Cross Country Skiing this week. Chloe is really starting to enjoy it, she is pretty strong on her skis but also has picked up on the whole sense of adventure that goes hand in hand with the sport. Tonight after work we are heading into the garden with our head lamps to track snow hares. Cool huh! If you attach a small section of climbing skin to the middle of their skis it will prevent the ski from sliding backward on slight inclines. 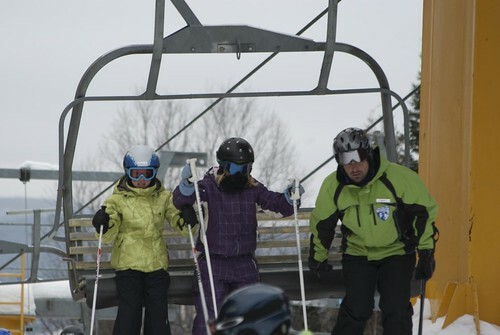 It also prevents the ski from accelerating too quickly if your child attempts a daring descent. I have enough trouble myself getting a good duck walk for going up hills. This tip will surely avoid plenty of headaches and tears.